KPMG Finland's Tax & Legal practice is the oldest one in Finland having existed for over 30 years and is currently the market leader. 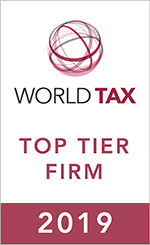 The number of tax & legal professionals has continued to grow together with the business. Juha Sääskilahti is Head of Tax & Legal. The Tax & Legal practice provides services both to MNEs, family business / enterprise and public sector clients throughout the country, and the number of offices in Finland currently is 22. In autumn 2017 KPMG Estonia became a part of KPMG Finland, which brought the Estonian tax professionals part of our team. KPMG Finland has invested heavily in bringing to the market new technology and automation based solutions for tax management, compliance and transfer pricing among others. We have a strong tax dispute resolution practice having advised our clients in the most of the high profile disputes in the Finnish market place. We contribute actively to the Finnish Tax Advisors' Association's work in providing expert opinions to new tax legislation and administrative guidance initiatives. KPMG is also an active member of the International Fiscal Association, Finnish branch. KPMG has established and proactive co-operation with the Finnish tax administration.